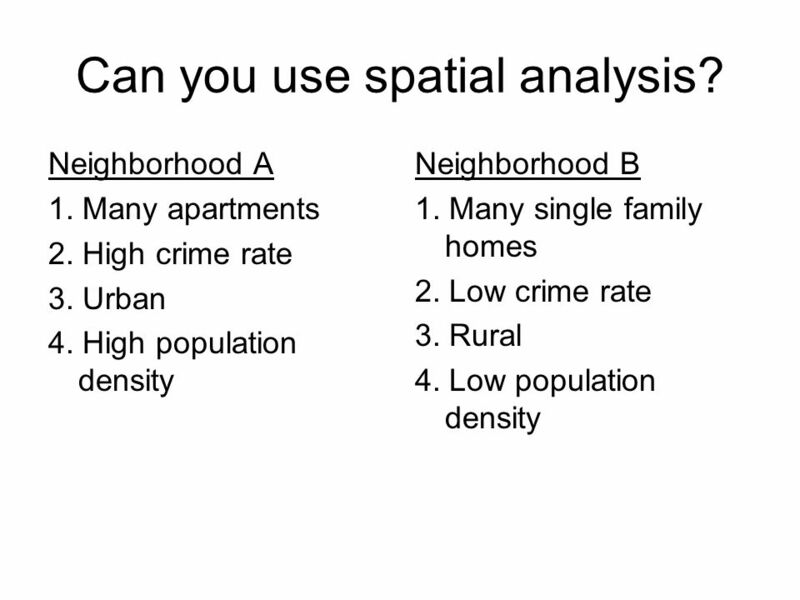 3 SWBAT explain spatial analysis. 1. 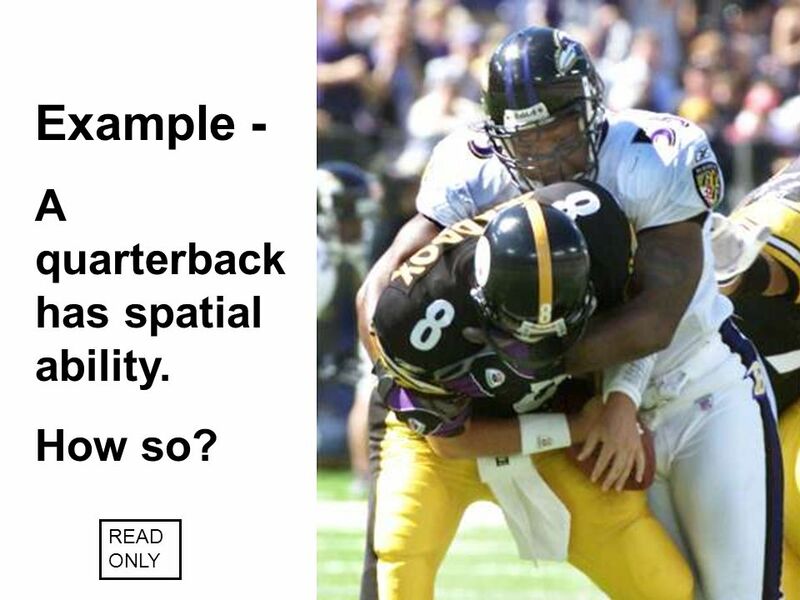 Objective (READ) SWBAT explain spatial analysis. 2. Question of the Day. (TURN OBJECTIVE INTO A QUESTION) 3. 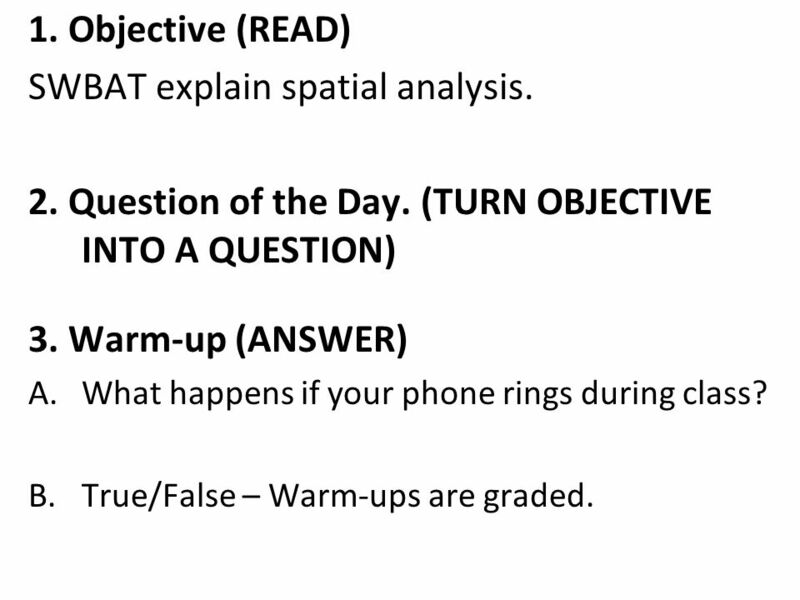 Warm-up (ANSWER) What happens if your phone rings during class? 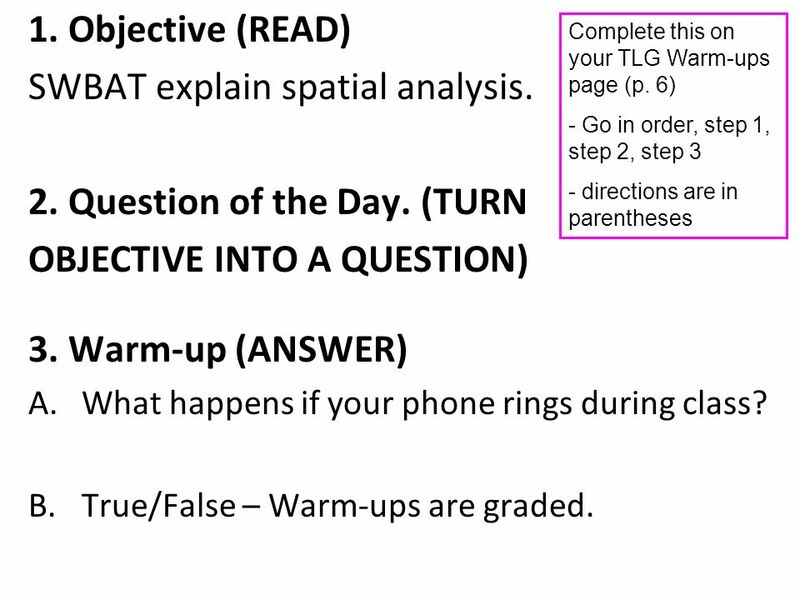 True/False – Warm-ups are graded. 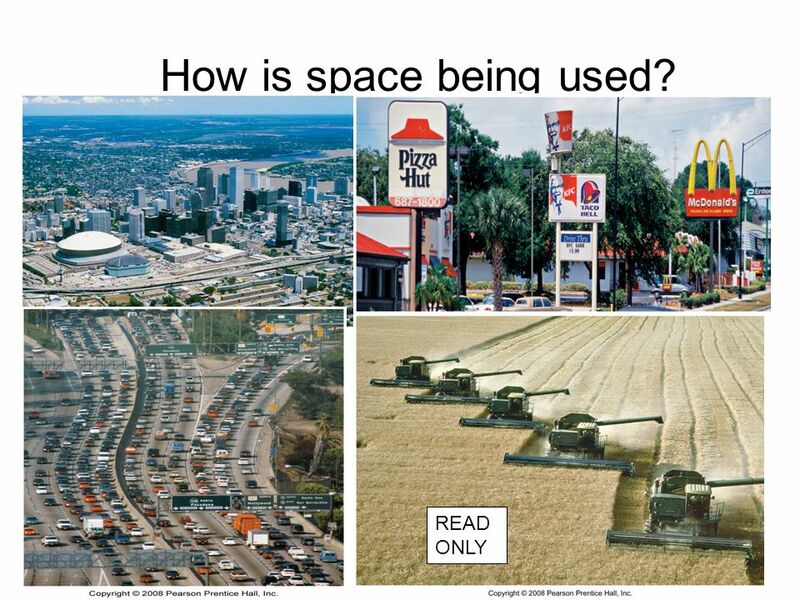 What is spatial analysis? 1. your phone is taken to the office and you have to pay $15 to get it back 2. True – Warm-ups are graded What will go here later? 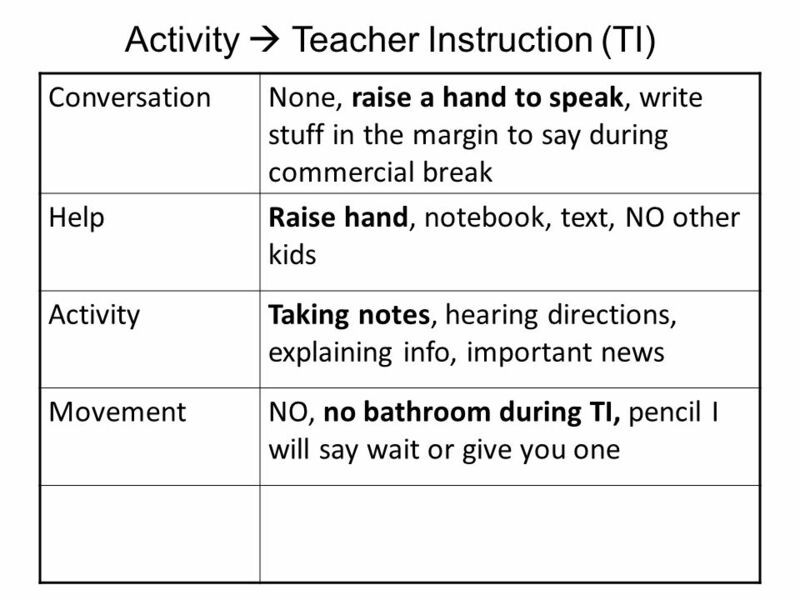 5 This system is used to set up classroom procedures for each activity. Directions: 1. Turn to page 1 in your notebook. 2. 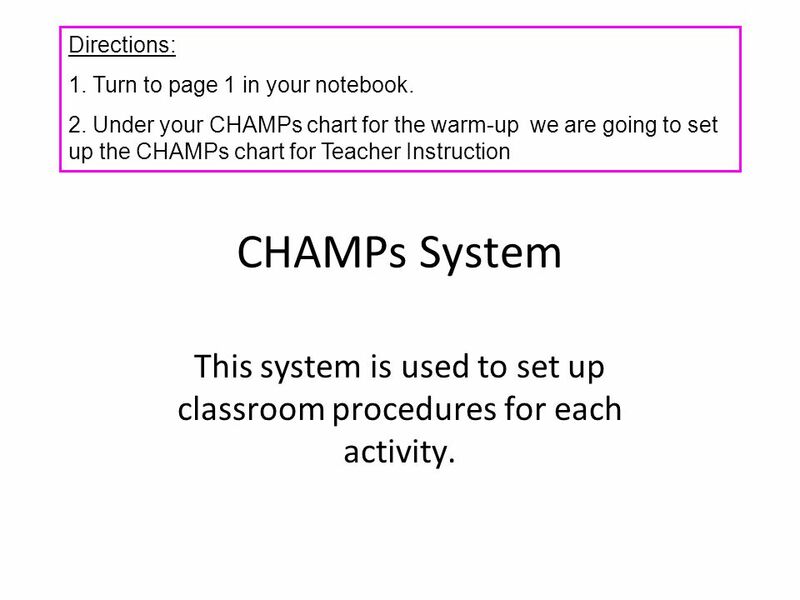 Under your CHAMPs chart for the warm-up we are going to set up the CHAMPs chart for Teacher Instruction CHAMPs System This system is used to set up classroom procedures for each activity. 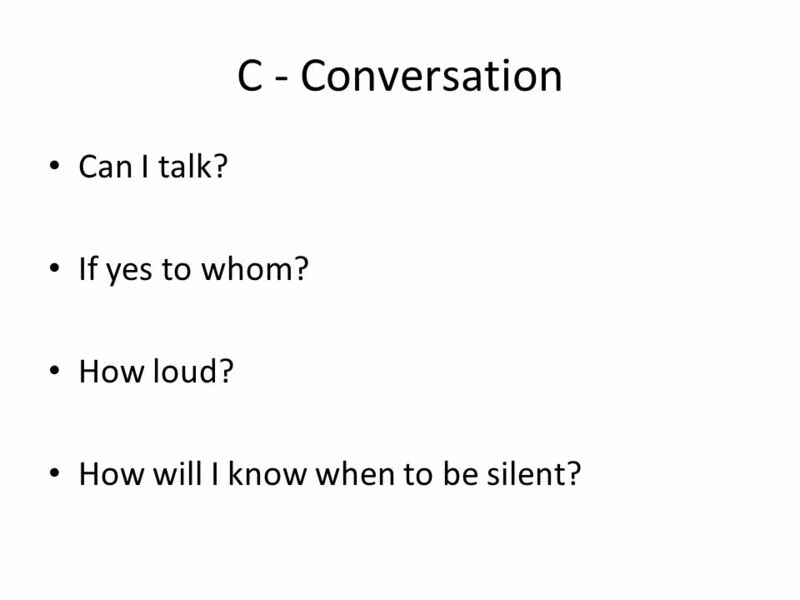 7 C - Conversation Can I talk? If yes to whom? How loud? How will I know when to be silent? 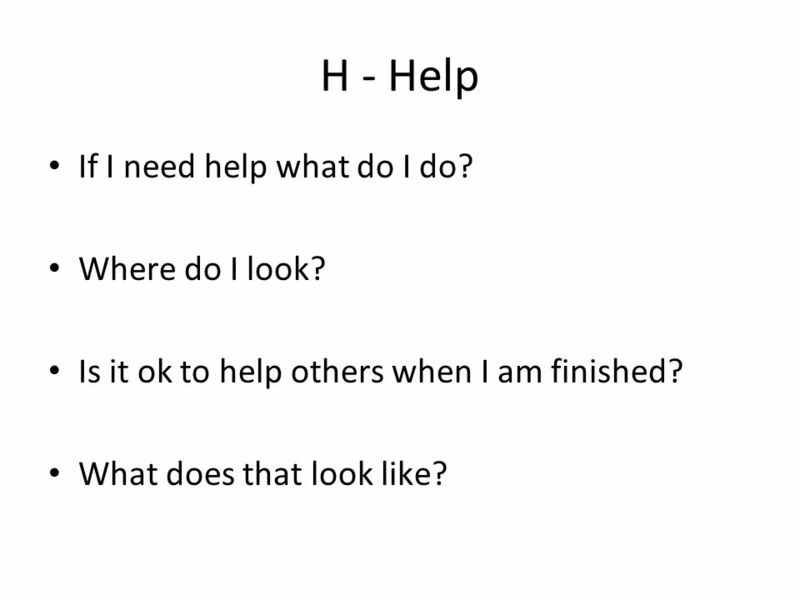 9 H - Help If I need help what do I do? Where do I look? Is it ok to help others when I am finished? What does that look like? 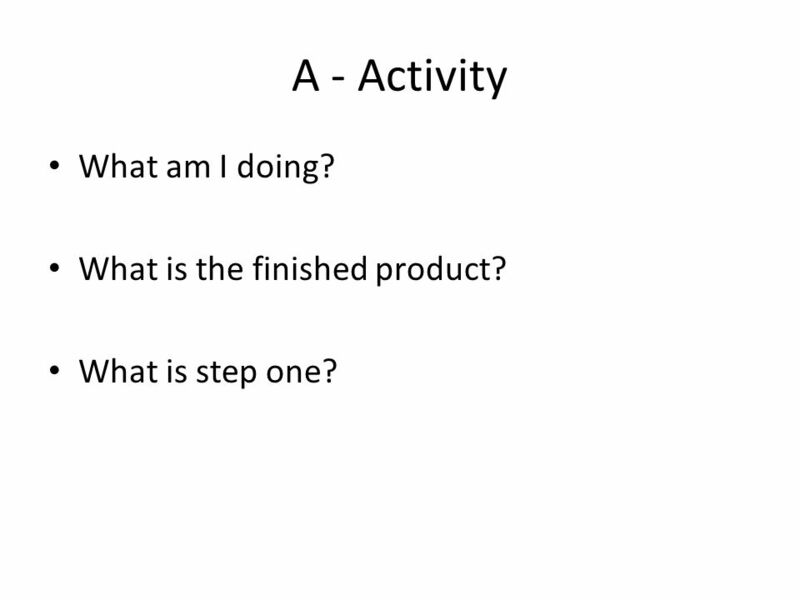 11 A - Activity What am I doing? What is the finished product? 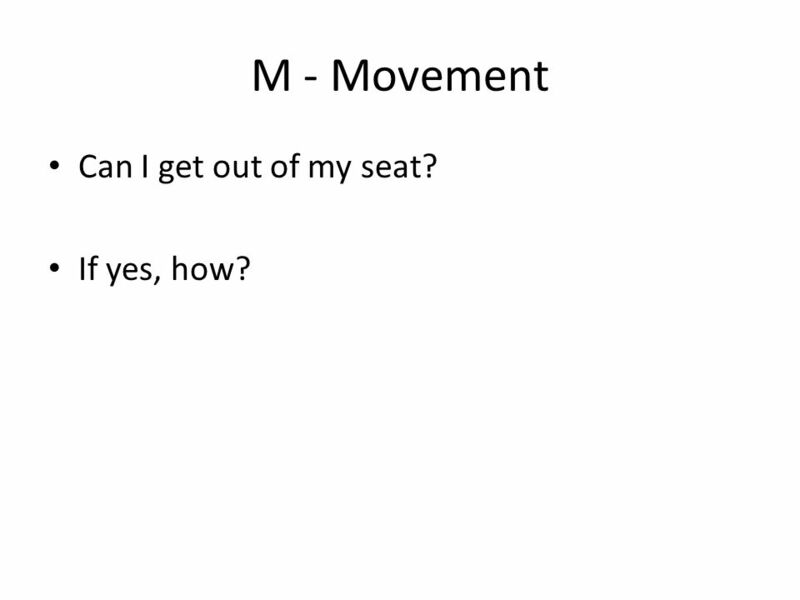 13 M - Movement Can I get out of my seat? If yes, how? 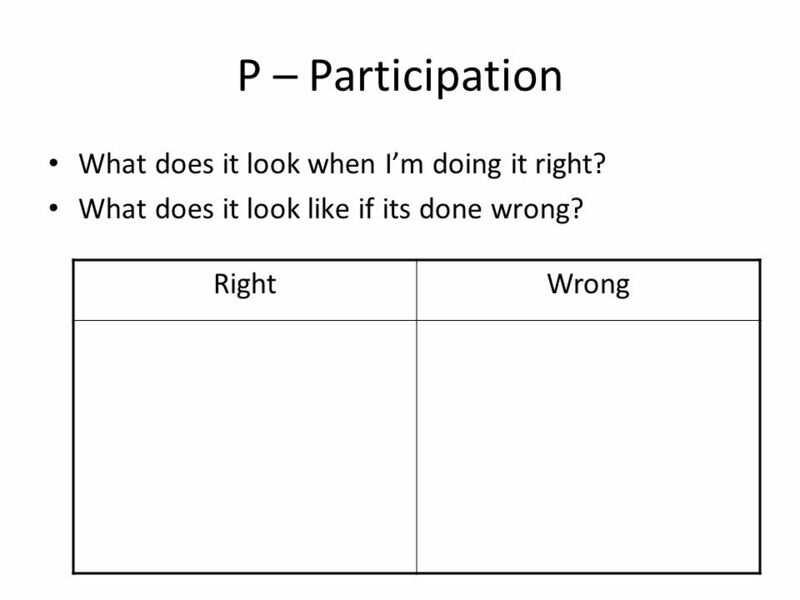 15 P – Participation What does it look when I’m doing it right? 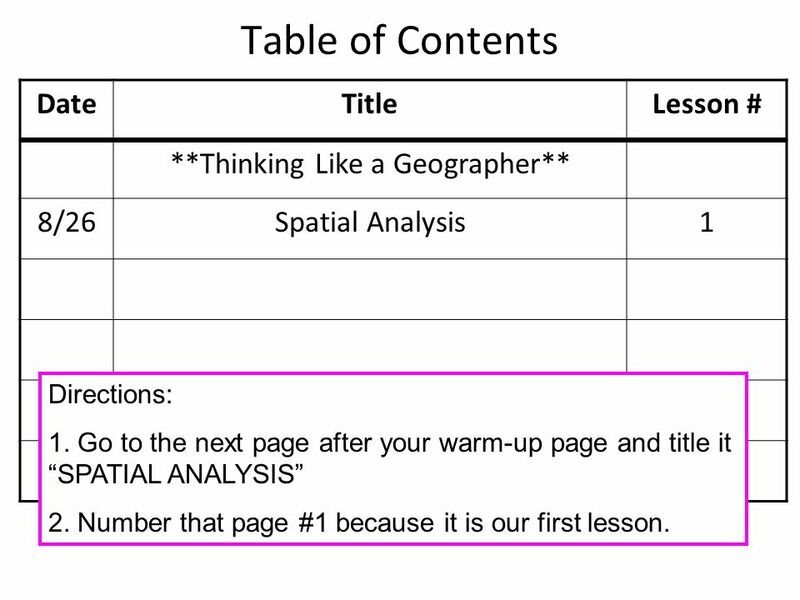 Table of Contents Date Title Lesson # **Thinking Like a Geographer** 8/26 Spatial Analysis 1 Directions: 1. 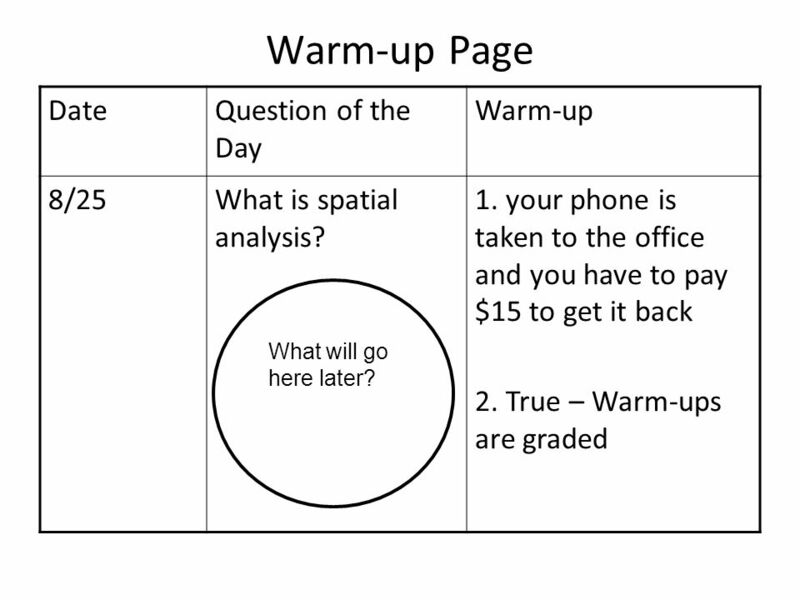 Go to the next page after your warm-up page and title it “SPATIAL ANALYSIS” 2. Number that page #1 because it is our first lesson. 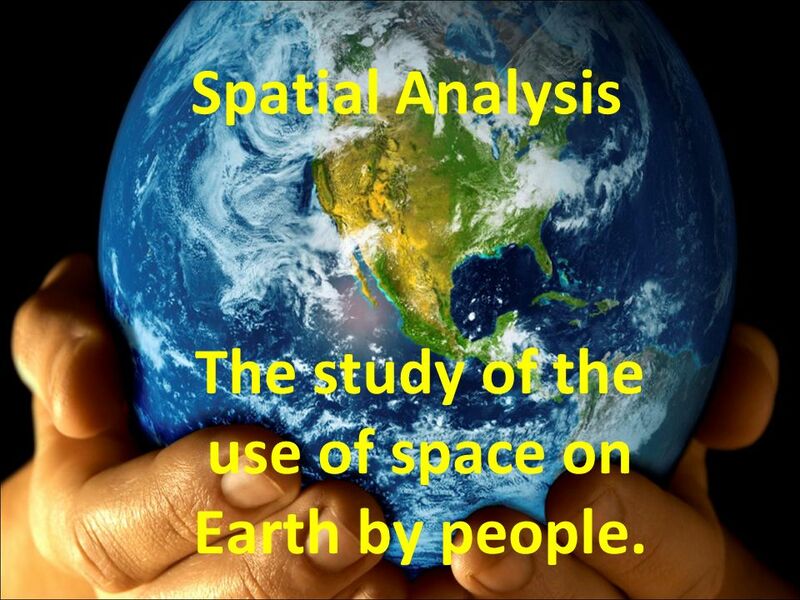 18 The study of the use of space on Earth by people. 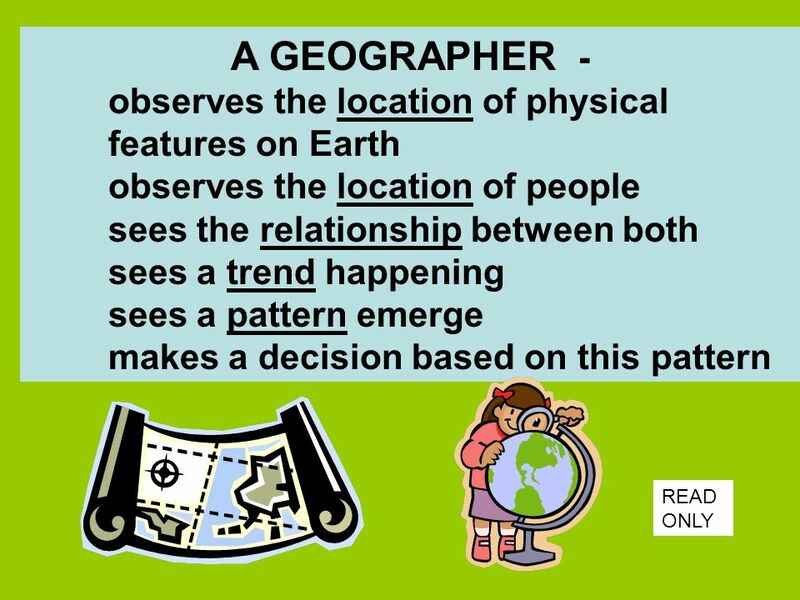 21 What do Geographer’s Study? 27 What physical feature exist next to New Orleans? New Orleans after Hurricane Katrina. 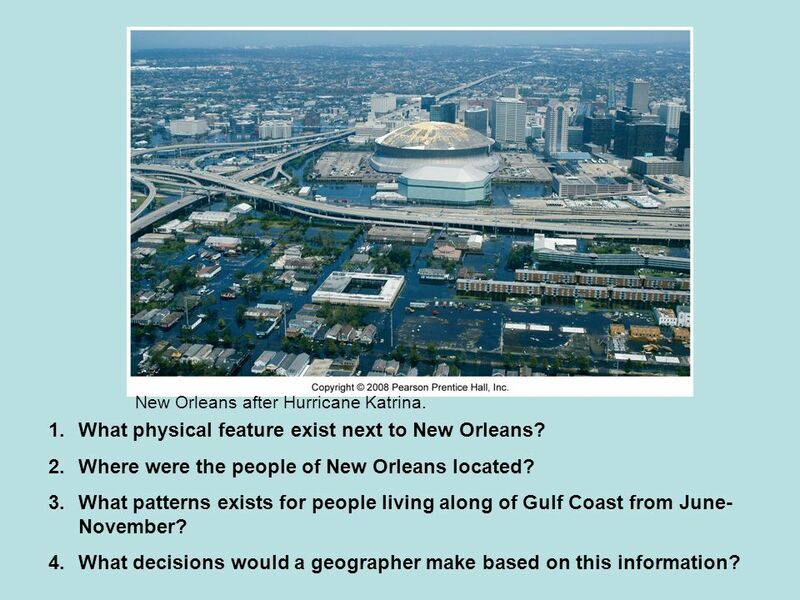 What physical feature exist next to New Orleans? Where were the people of New Orleans located? What patterns exists for people living along of Gulf Coast from June-November? 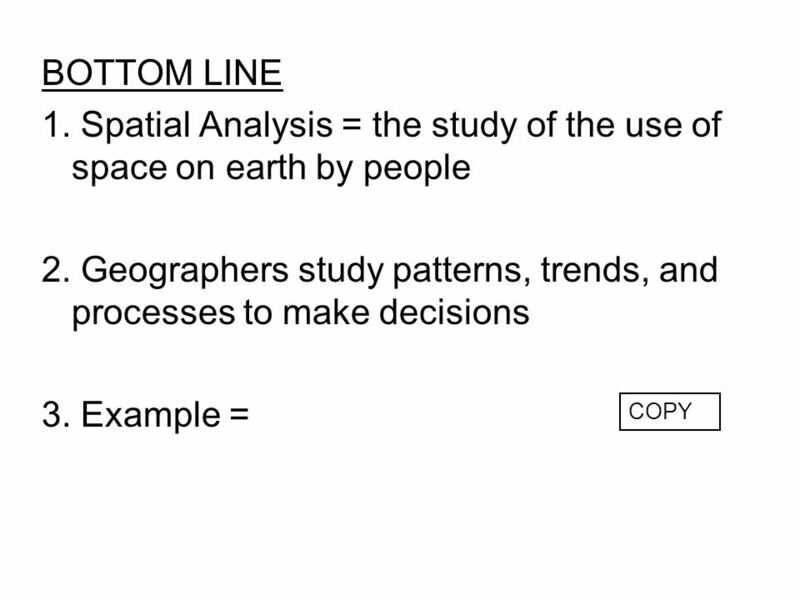 What decisions would a geographer make based on this information? 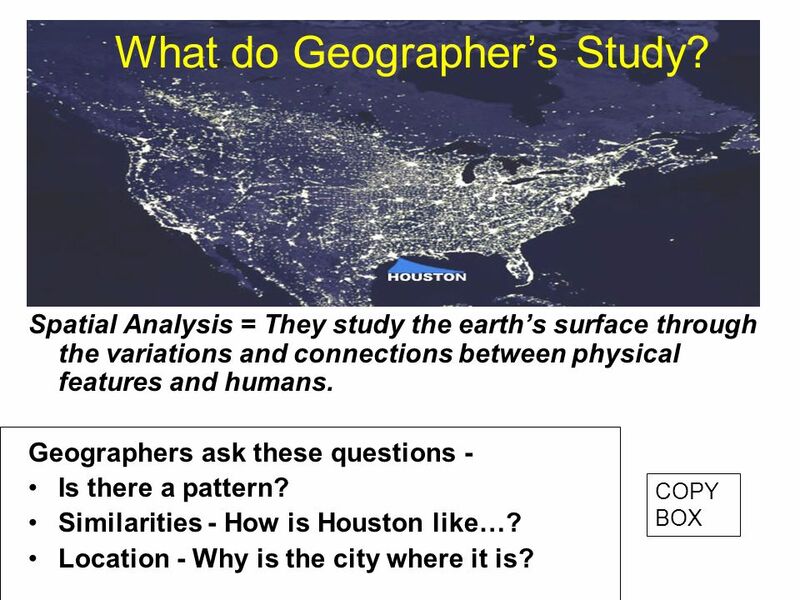 28 Can you use spatial analysis? 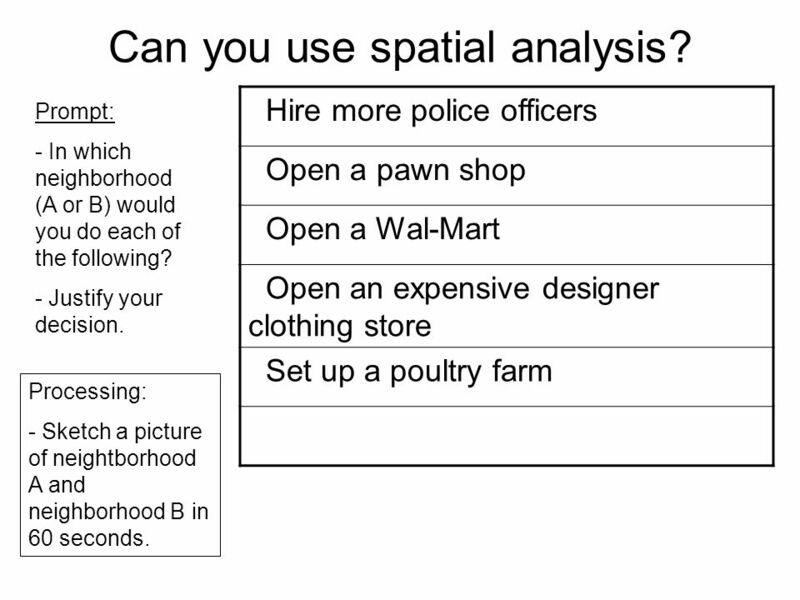 29 Can you use spatial analysis? Hire more police officers Open a pawn shop Open a Wal-Mart Open an expensive designer clothing store Set up a poultry farm Prompt: - In which neighborhood (A or B) would you do each of the following? - Justify your decision. Processing: - Sketch a picture of neightborhood A and neighborhood B in 60 seconds. 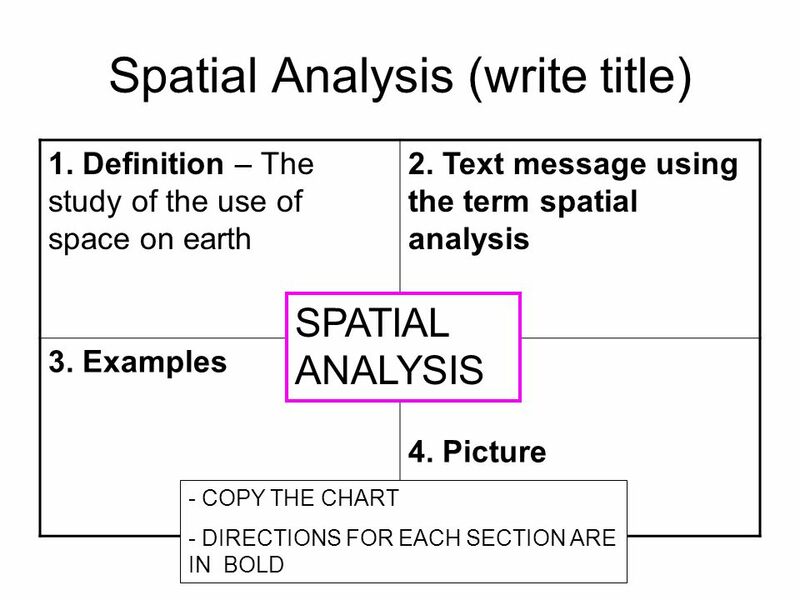 Download ppt "SWBAT explain spatial analysis. 2. Question of the Day. 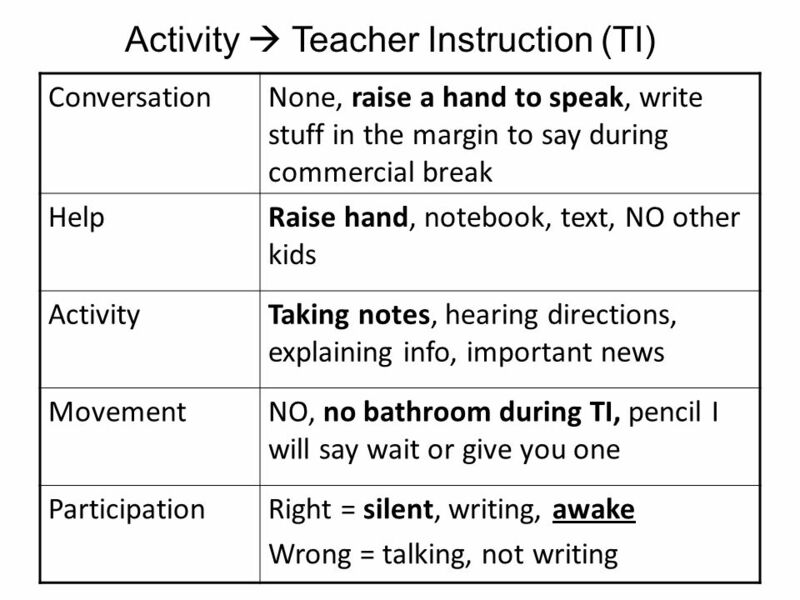 (TURN"
This system is used to set up classroom procedures for each activity. US and Canada. 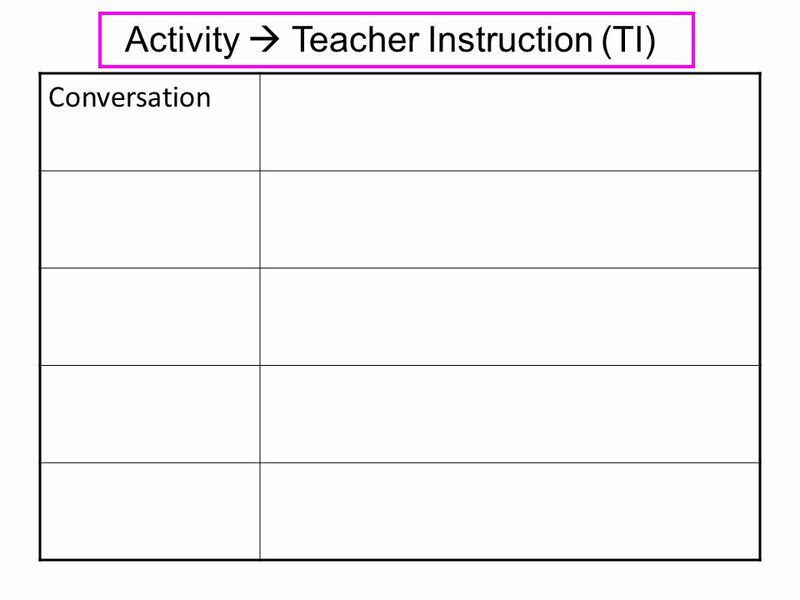 Table of Contents DateTitleLesson # 9/25Population Pyramids17 9/28Population18 9/29Essay Rules19 **US AND CANADA UNIT** 10/1US Cover Page20. Where the students are C.H.A.M.P.s ! 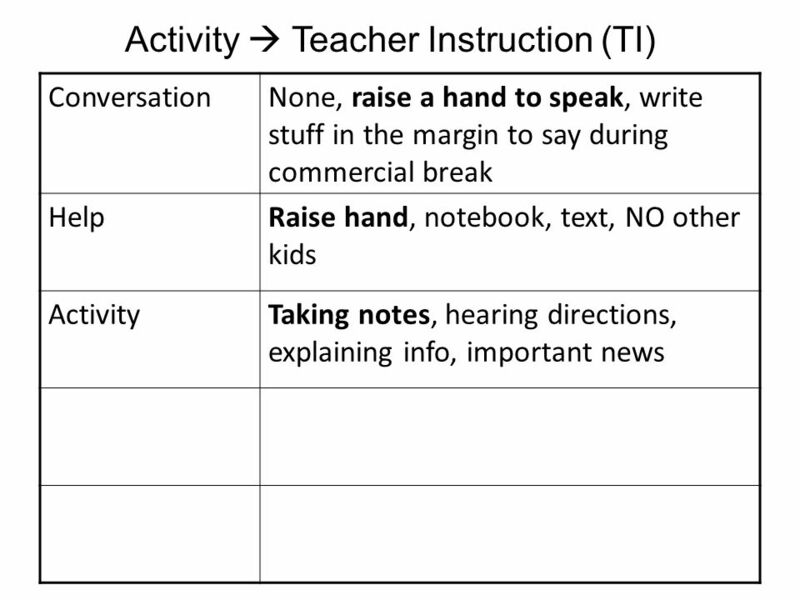 Making Thinking Visible Strategies through Social Studies Kindergarten and 1st BISD – April 2014. 1. Objective (READ) SWBAT identify the location of major physical features in SW Asia. 2. Question of the Day. (TURN OBJECTIVE INTO A QUESTION) 3. Warm-up. POLICIES & PROCEDURES. 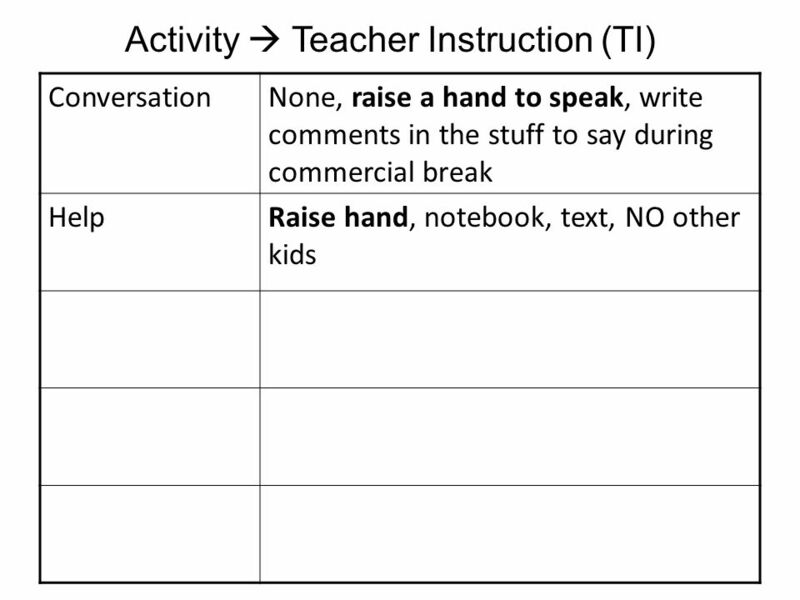 Student Behavior Raise your hand to ask a question or give an answer. Do not shout out the answer, unless I happen to say “shout. 1. 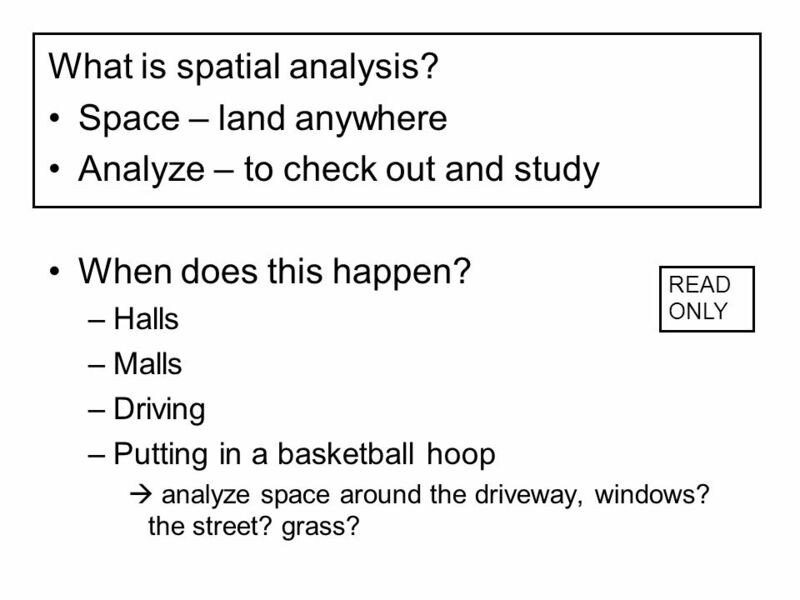 Objective (READ) SWBAT identify the 5 A’s of spatial analysis. 2. Question of the Day. (TURN OBJECTIVE INTO A QUESTION) 3. 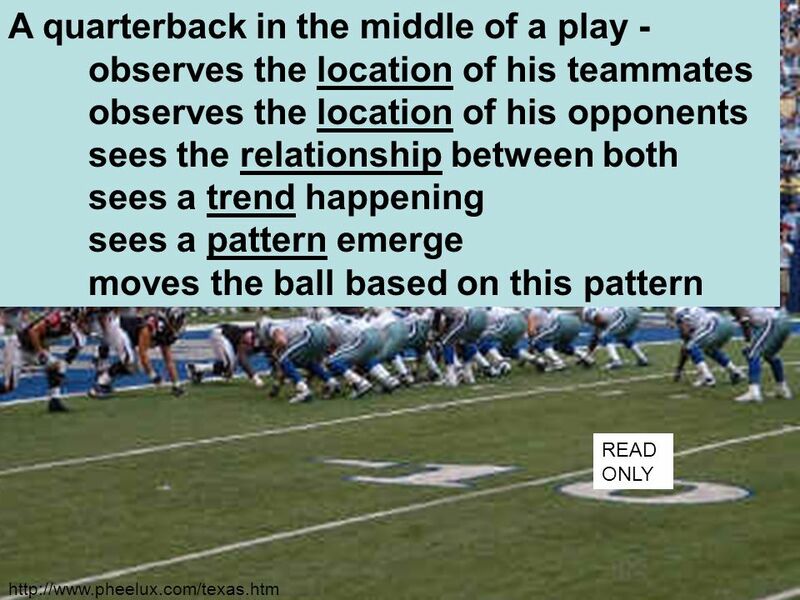 Warm-up (ANSWER) A.What is. CHAMPs Expectations Choral Reading. 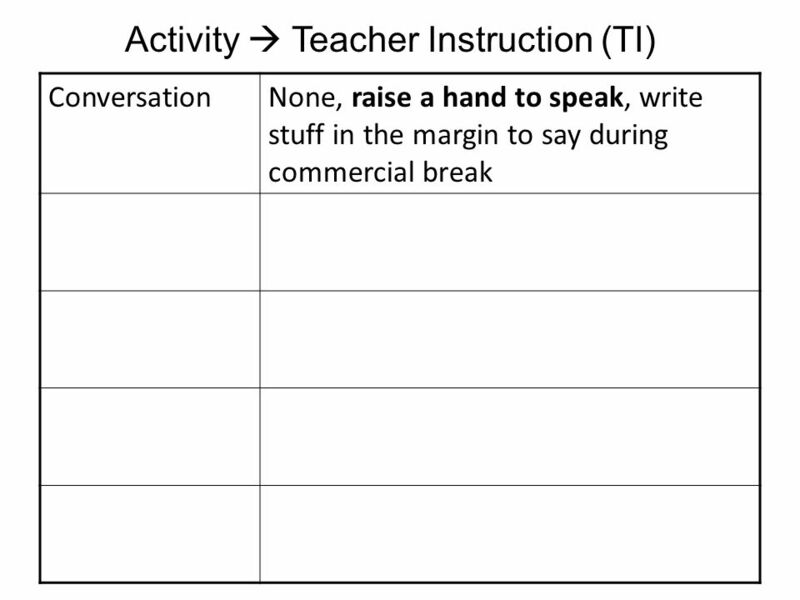 Conversation You may not talk to anyone during choral reading You will be reading aloud with the class. Do Now What are your goals for reading this semester?What are your goals for reading this semester? At the end of school in June, what do you want to look.